This photo was taken last year, and it serves as a reminder why October is one of my favorite months. 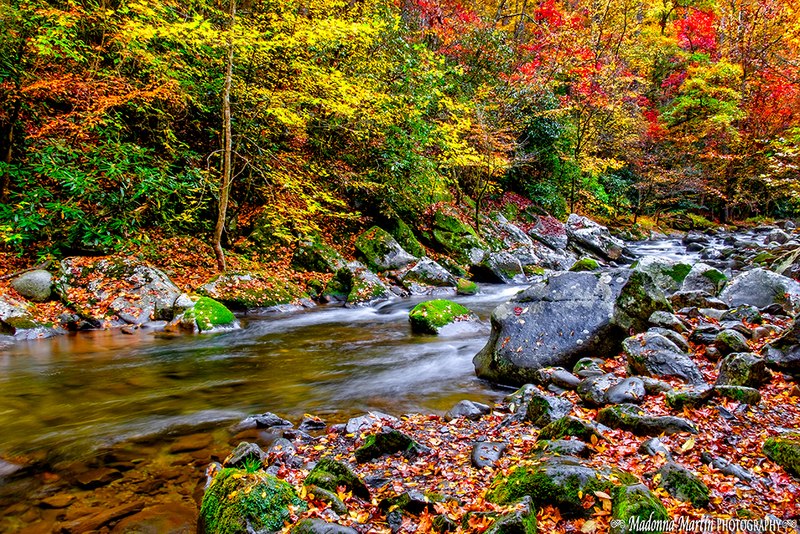 Color changes are already starting here in east Tennessee. I’m charging up the camera batteries and preparing my camera equipment. Goodbye summer, hello autumn! It's so pretty. As much as I hate to see summer end I do love all the colors of autumn. Barely a hint of color here yet - perhaps some cooler weather (thanks to Hurricane Matthew) now on the way will start the trees turning. I love October, and it brings yet another Birthday! Just back from Kenya - wow what an amazing safari - very few trees though! Love Spring the best but this is so inviting!